Not too long ago I put together a list of one stop shopping for bedding products. After I put it together, I thought that Nectar needed to expand their product line. Sure enough they just announced that they have added an adjustable frame to their line up. I’m on the west coast so the shipping time was amazing, just 2 days. Of all of the adjustable frames that have shipped to me this box was the least damaged. 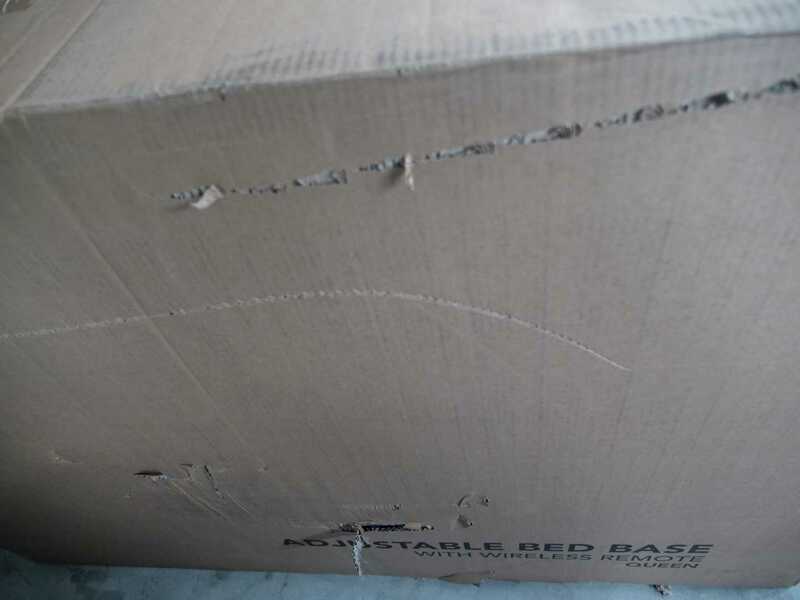 It has just two minor scrapes on it, typically the boxes will have holes in them and once an adjustable bed came to me damaged. I can tell right away that this one was not damaged during the shipping process. This adjustable base is built by Classic Brands LLC, and is shipped and sold through Nectar’s website. I have tried this model before, so I knew what to expect when I opened up the box. First, it is priced way below the competition. For all of the features that come with this bed, you should really expect to pay about 30-50% more. Of course, there is a bit of a catch. You need to do some assembly to transform this from the box into your bed frame. It isn’t complicated and I did 99% of it by myself, and I weigh 115 pounds. One of the features that I love about this is that the two heavy pieces ship unattached. This allowed me to take it out of the box downstairs and move it piece by piece into the bedroom. Nectar really has the shipping aspects of this figured out. Their mattress ships in a tube, rather than a box. At first I thought that was a problem, then I realized that the way that it is compressed and packaged meant that it would fit into impossible spaces. So I put it to the test and put a Nectar mattress on a boat. Who Should Buy the Adjustable Bed? What is Inside the Adjustable Frame? Here is what it looks like after I assembled it. You can see from the video that I was able to take it from the delivery down stairs up to the upstairs bedroom for assembly. I did almost all of the work, but the cameraman helped just a little bit on the way up the stairs. It took about 45 minutes start to finish, but it should take you about 30 minutes unless you also want to shoot a video. It should be pretty clear from the video that this is the best adjustable base that I have tried so far. I have tested this model on dozens of different mattresses and it is capable of working with mattresses that are 15 inches thick. 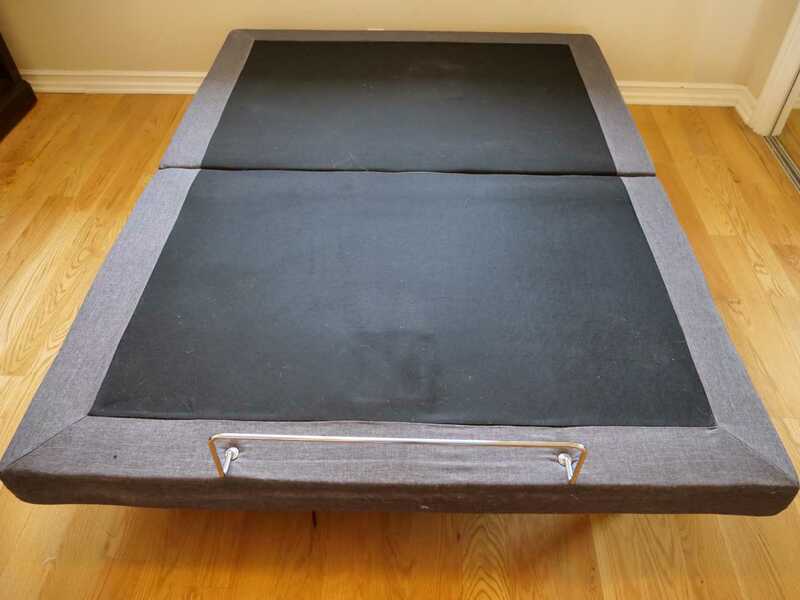 You should have no problem using your 11 inch Nectar mattress on this adjustable base. • You have to assemble it, budget for about 30 minutes or so. To summarize, you get the best adjustable bed for the money, but you have to do a bit of work to realize the savings. You may notice similarity between the new Nectar Adjustable Bed and the Dream Cloud Adjustable Bed. Nothing’s wrong with your eyes. DreamCloud was launched by the same team that launched NECTAR, however, it operates as a fully separate business and brand. The Nectar adjustable frame is loaded with many features. It allows you to raise your head and upper body to read or watch TV, or elevate your legs for added comfort. You can raise both separately, or together – You can do it just the way you like it! Zero Gravity, or Zero G.
Relieve all the pressure on your back while improving circulation with one click of a button. Zero G. is ideal for rejuvenation and resting, it absolutely makes you feel like you are floating! Raising your head while you sleep opens up the air passages, allowing for easier inhalation to reduce snoring. The added elevation has also been proven to relieve acid reflux symptoms. It’s an instant WIN WIN right there! Oh and USB plugs because they are A MUST . Plug in your device and let it charge overnight so you are ready to roll when you wake up. Bottom line, if you are looking for an adjustable bed that is easy to assemble – no tools required- that is able to provide customized sleep positions and perks like Three Zone Massage, TV Recline and Zero Gravity settings as well as USB plugs for comfort and convenience and many other perks , all in just one adjustable frame, you are at the right place right here! What Type of Mattress Works with this Frame? You won’t need a foundation or box-spring if you go with an adjustable frame. There are no specials on the adjustable frame, however you can get $125 off a mattress and 2 free pillows if you are looking for a one stop shopping experience. This product will be eligible for my additional $25 off if you use my links. I’ll let you in on a secret, it is the same product as you can see in this video that I shot recently. Here is the catch, it is $100 cheaper if you buy it through Nectar than it is if you buy it through DreamCloud. 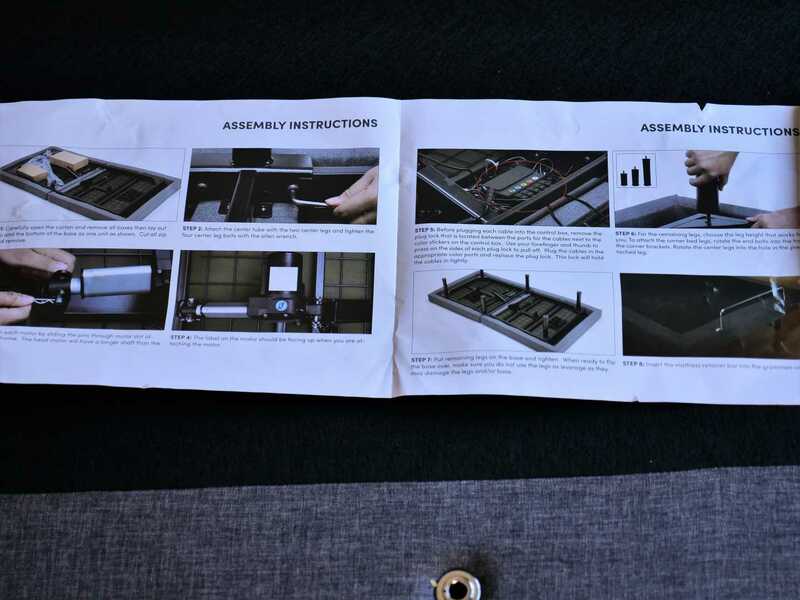 This part is important, you will need someone to help you move around the box and flip over the base once it is assembled. Did you catch that part? You will need to assemble it. The good news here is that I was able to do all of the assembly (except the flipping) by myself. Don’t believe me, then watch the unboxing video above. Yes, it fits in the headboard that DreamCloud sells, I’m pretty sure that Nectar sells the same unit. Oh no! I am sorry to hear that! Unfortunately, we wouldn’t have the ability to sell individual pieces of equipment of our Nectar products. I would recommend looking for an additional remote online i.e. ebay. I was raving about how great the bed is just yesterday to a co-worker I got it as I have a spine injury and being able to adjust the bed was great for me. Now I can’t move it because I have not freaking remote. I can’t find one on eBay or anywhere. The bed is useless to me and I will return it if I can’t get it to work. I need to be able to adjust the bed. Just plan bad service. Try looking up classic brands remote, they are the manufacturer. How does this differ from the Classic Adjustable bed being sold on Amazon for a much lower price? Doesn’t Classic make the Nectar adjustable beds as well? They are made by classic brands but Amazon pricing changes more often. You can check here to see if you can purchase it for less on Amazon. Thank you so much for the chance. This would be an amazing win and would be willing to give unbias review! I would love to own this and love that it is priced way below the competition. This frame looks amazing! I’ve never thought of getting one before, but I may change mind now that I have seen this! Love your reviews. I currently have a tuft and needle and I’m thinking t would work on a nectar adjustable frame. We have recently purchased two Nectar twin xl mattresses. Would love the adjustable beds as well. Great company, great products! When I’m not sleeping on my side, I sleep on my back with my knees bent up. This base would be a game changer. Great review! On my 4th back surgery and have an upcoming totally hip replacement surgery in the future. We bought a new mattress when we got married 6 years ago. My husband hates it and prefers the sofa :(. We definitely need a new bed as the one we got has a huge sunken section in the middle now. Money isn’t easy to come by now as I work less and less due to pain. I’ve been in the market for a new bed and this would make all my dreams come true! Thank you for all your hard work and great reviews! I have been considering what to buy (or win) for a new frame and mattress. Need to get one soon! This one looks great! Thanks again! I’ve been wanting an adjustable bed. My BR is on 3rd floor with small stairwells and turns. Coming in two pieces is a definite pro for me. Is there a weight limit on the queen and king adjustable beds? I love the idea of this and charging ports 🙂 yay. Thank you so much for your REVIEWS! They are informative and educational. Now there is a game changer. Looks good, would love to win and try this bed ! I’ve been looking for a adjustable frame for a while. Thanks for the review! This awesome. I am dealing with a cold right now and lots of couching when I turn on my back. If I had this, it would so helped the coughing! They should have a frame and mattress combo special. I would think many people would like that if they could get a discount. I agree, I’m going to ask them if they will consider it in the future. My guess is that their margins are already pretty tight as its pretty hard to find similar pricing out there. I have a lot of health issues and this would be fabulous to win, especially with winter coming. I wish I could afford one. I’d need to buy a new mattress to go with that frame. That was a good point regarding the lack of an under bed light. With all the bells and whistles on that frame, you’d think a simple light would have been kind of obvious. I’ve been searching for a good adjustable frame for a while. Thanks for the review! The Nectar Mattresses look to be of very good quality, and paired with this adjustable frame would be a win win for personal comfort. This would be absolutely wonderful for my husband and I! He has a very bad back and nerve damage in his back and legs and I have fibromyalgia neuropathy and restless leg syndrome. I love that we can adjust and move our legs up. That would truly help me and him both so much. I would like to know the weight limit for the king please. This would be perfect a little larger bed and more comfort than my hospital bed! Would love to win it! Thanks, NB Reviews, for bringing to light an excellent product : the Nectar Adjustable Bedframe. And equally as important, for noticing and clearly describing some extremely important details – such as the non-compatible nature of this frame with a (rigid) foundation. Good catch ! You and your site(s) do an outstanding job of acting as a well-qualified researcher for consumers considering a major purchase. You are doing very high quality work & deserve to be commended. Thanks for being our “eyes and ears” in consumer research ! ? Wow this would be the perfect frame for my father in law. He suffers with sleep apnea and his bed now doesn’t work and beyond to expensive to fix. His birthday is coming up and wow what a great surprise it would be for him. Thank you for the chance, wish everyone luck. This is cool, I bought the Nectar mattress about a year ago and love it! Thanks for a chance at the giveaway. This bed frame looks easy to set up and sturdy. Definitely something I would love to own and is on my wish list. Thank you for this great review. I’ve learned a lot about mattresses, and now this frame, by your reviews. Before I was clueless about mattresses. Thanks for the great reviews and information. I wish they had a split adjustable frame. Love your reviews!!?? Thank you for all you do and for a chance at winning the giveaway! Much love? I would LOVE to win this! My disability comes with a lot of pain and I am currently sleeping on a hand-me-down twin bed. Thanks so much Rana for this opportunity. Good luck to all entrants. Thank you so much for your reviews! They have been very helpful to me in deciding what new mattress and bed frame to purchase. I also wanted to let ppl know I emailed Nectar customer service and they have noted there is no weight limit or maximum lifting capacity, in case this is helpful. Yeah, I wish I knew what the limit is on their adjustable base. I know that it is sturdy enough for the heaviest mattress I have plus me, my husband a dog and a couple of kids. Figure that’s at least 500 pounds.